More specifically - these two roll with the punches like true professionals. When Raquel was faced with family drama she shut it down quickly and gracefully so I would be comfortable. When Brad had to set up an extra area for sound he did it without us ever having to stress or worry. Throughout the whole planning process every suggestion they made was absolutely on point. You can trust these two to give you a great wedding day and reduce your stress. Raquel and Brad are absolutely AMAZING! If you’re contemplating whether or not to hire them, DO IT! We planned an out of state wedding, and knew right away we needed a planner/coordinator. And we used DJOne as our DJ! Raquel is quick to reply, great at offering advice, and very honest. Everything she recommends I followed! They are genuine, kind people who truly have a passion for what they do! Right up until the last minute, Raquel was available to assuage my every bridal freak out! She made me feel so calm in the planning process, and having her day of makes me confident I’ll be able to sit back and relax on my big day! Thank you thank you thank you! Brad and Raquel are two of the most amazing people ever! Not only were they professional and great at their job but they went above and beyond expectations. You can tell that they love what they do which sets them way higher than other competitors in the valley. Choosing them is choosing to have an amazing wedding! Seriously they are the best! I do not even know where to begin, other then AWESOME! This was a second wedding, I almost went with a “friend of a friend” kinda thing and am soooo happy that I did not. Evan though we had a small wedding, I had a very specific vision of how I wanted our reception to be (not in a bridezilla kinda way more of Hey I’m older and know exactly what I want). Brad was AWESOME, so patient and acomodating. Was there for us, with great suggestions while planning and always available when we had questions or changes). The night was all that I imagined and more. Brad wasn’t just our DJ, he was more like the untimate host at our family hoedown! (Turned out that he actually handled my in-laws 50th anniversary a few years ago lol and we didn’t even know that beforehand). Raquel was amazing too, she totally saved the day and stopped a potential “cake disaster”. Honestly, they both went above and beyond. Well worth every penny! Just want to say Thank You, for bringing so much joy on our wedding day. You helped ease the stress and really put a smile on my wife’s face, working so hard to make everything she wanted happen. Which was worth every penny to me, especially the little additional touches that we did not expect. Will definitely be recommending to other family members who are getting married. The wedding was perfect - so much fun and as stress free as possible. Using Raquel for wedding planning was a great choice by my daughter. We had an earlier wedding for our older daughter using the coordinator at the facility and this was by far a better experience for me as mother of the bride. I actually enjoyed the day. Raquel took care of directing the vendors, organizing the tables, handling last minute issues, keeping us on schedule, and completing everything at the end of the night. Brad was a fantastic DJ and had us all dancing until the end. Using The Wedding Doctor is an absolute must on your wedding checklist. Brad and Raquel are simply amazing. They eliminated all the stress and anxiety as our wedding approached. Their style and demeanor leaves a person feeling relaxed and at ease. They are totally top notch! They're absolutely the best at what they do. You'll never find anyone anywhere any better!!! Thanks again Brad and Raquel. Love you guys! Highly highly recommend The Wedding Doctor!!! Brad and Raquel were instrumental in making our wedding day perfect! It was a stress free, relaxed day for us and couldn't have turned out any better. Just can't say enough great things about them.....professional service all the way, and they were so fun to work with!!! Love them both!! Brad and Raquel were amazing to work with. 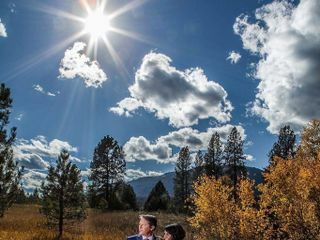 We selected the wedding package and I would highly recommend it! We definitely had a different, non-traditional style of music and Brad totally accommodated and played exactly what we wanted. Raquel really made me feel at ease throughout the entire wedding planning process and left everything stress free the day of the wedding. I cannot stress enough how thankful I am to have hired The Wedding Doctor, and I would do it again in a heartbeat. THANK YOU both so much for the perfect day. We highly recommend "The Wedding Doctor" for your wedding! Brad and Raquel are professional, organized and fun to work with. The value of their services is top notch! Best Wedding Planner and DJ Ever! This is a way overdue review on two incredible people. But before you read the rest of it, stop, call them, book them for your event, then read the rest of my review. Raquel has a great team of vendors that she works with, so I didn't have to try and find a baker, florist, decorator photographer or candlestick maker 😁 She had them all, and they were fantastic. No matter what I threw at her ( no electricity on the property for the microphone) we want this, we want that, it was as easy as just telling her and it was done. She helped calm down a bride over a thousand miles away who only met her wedding planner once and only saw the ceremony/reception site once before the wedding. Brad took my crazy list of old songs and said yes, we can do this and put together such a great list of music, that he even got my 80 year old father out on the dance floor multiple times. It has been a year since the wedding ( I said this was a VERY overdue review), but our friends and family STILL talk about howuch fun our wedding was, and that, is 💯 percent due to the amazing team of Raquel and Brad at The Wedding Doctor. Don't waste your time talking or searching for anyone else, you would be sorry disappointed. We love them so much, we stayed over an hour AFTER our reception was done and guests were gone, just hanging out with Brad and Raquel. Not only did they create a beautiful wedding for us from another state, they have become dear friends. The Wedding Doctor has been voted THE COUPLES’ CHOICE award for six years running for a reason. Great to work with, responsive, and at a fair price! They killed it at our wedding and would highly recommend. We loved the wedding doctor! I can't imagine my day without the help of this team! I hear brides all the time talk about how they are so nervous and have so many things running through their mind leading up to the wedding and I didn't have to worry! I was able to enjoy my day knowing exactly what was going to happen and I was able to enjoy those days leading up to it. We had full wedding planning as well as an amazing DJ because of them. We had the best day Thank you! We had an amazing night. 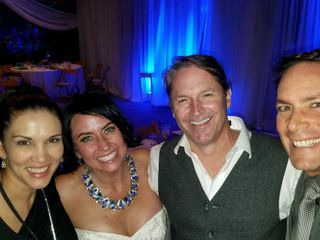 The Wedding Doctor was very professional, and knew how to keep the party rolling so my guests enjoyed the whole night. They stayed with us until 3:00 in the morning! He has very great knowledge, he knows what works and what doesn't. I highly recommend The Wedding Doctor. We are so thankful for Brad & Raquel aka The Wedding Dr. for going over the top of expectations for my sons wedding. From the very beginning of planning and us ending up with over 725 guest attending, they helped us plan for organization, *flow* of people in the reception area and their great ideas to keep the party hoppin'. They played till 3:00 a.m. (ceremony started at 5:00 p.m.) and tackled the huge job of us live-streaming the ceremony into the reception area (church was very small) and made sure the sound & viewing was perfect. Everything went perfectly and with such a large wedding, its remarkable that it went so smoothly. 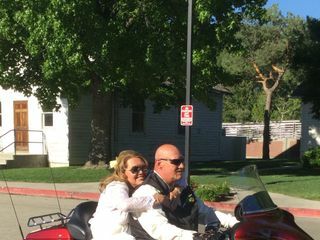 We credit Brad & Raquel aka The Wedding Dr. for making our wedding run so smoothly and everybody is raving about what a wonderful time they had. This team is not "just about" playing music...they are about making every part of your wedding run as perfect as can be. Thank you!!!! He took care of everything that we needed done when we were too busy to do something. He was great to get along with we enjoyed immensely. I highly recommend him. Brad and Raquel were amazing at and long before my wedding. They made my special day flawless. I am very impressed with their price point and the work that it included. I highly recommend them for your special day. I assure you that you will not be disappointed. Their service was awesome and they created such a lively environment at my wedding. The decorations were perfect. Their timing throughout the wedding was right on schedule. I could not have gotten through this day without them. They are lovely people. Raquel was so supportive all through the planning of the event and even helped me corset my dress. Brad was so professional and I felt so comfortable with his officiating of the ceremony. They are a one stop shop. Brad officiated and was also my DJ. Raqeul was my planner and my support throughout the event. 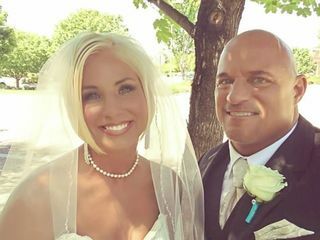 The Wedding Doctor is the perfect name for what Brad and Raquel have done for Terrie and I to make our very special day the most beautiful wedding experience anyone could ever ask for! I've known Brad for over 20 years and there was not a chance I would have anyone else to help me and my bride through one of life's most precious moments. The Wedding Doctor is a one-stop-shop for weddings (as they say..."soup-to-nuts")...why go anywhere else! I highly reccomend Brad and Raquel for ALL of your wedding planning needs!!! They did everything and more than we could have hoped for. We had a group of approximately 100 people but it felt like we had triple that with Brad engaging the entire crowd in a way that never felt boring or never was there a lull in activity. Raquel did an amazing job at getting the bridal party and the venue put together. She made sure our glasses were always full and that we had food to eat and cake to take home. It was the funnest wedding that I've ever been to or been apart of. I'm still getting compliments nearly 8 months later. 1- To actually enjoy your wedding and have everything run smoothly. 2- To have your guests out of their seats and on the dance floor all night. Gracias for exceeding our expectations!!! So, If you decide to go with anyone else to plan your wedding or event, you did it wrong! 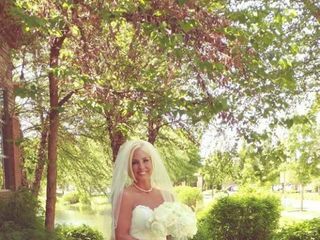 Brad and Raquel will take every bit of stress out of your life and allow you to simply enjoy your special day! The Wife and I were able to customize our experience, and when we didn't know what to do, they helped us through the rest. Do yourself a favor and book them ASAP! The wedding doctor was freaking amazing . I would recommend them to everyone that was looking for great service in dj, i would recommend them to anyone looking for a fun night, and everything they have to offer. ?? My advice is to book Brad and Raquel for any event . We just had our daughters wedding Oct 1 2016 . They were wonderful every step of the way ! Any level of help or advise they have it handled. We had the best time and have been told by all friends and family that they had never been to a better wedding ! It is amazing when you look out and no one is in their seats but on the dance floor ! Brad kept things moving and everyone enjoyed themselves ! Especially the parents of the bride ! Brad and Raquel should be your first call when you find out your daughters engaged ! Thank You So much Brad and Raquel !!! I can not even explain how wonderful Brad and Raquel are. I was planning my daughter's wedding all on my own and was very overwhelmed. We booked Brad and Raquel for DJ & Coordinator services. They took our plans and ran with them and got us some great vendors to work with. I gave Raquel, whom I call my "Wedding Angel" free reign to set up everything from food, beverage, decor and flowers. What an amazing job she did!! Brad is Awesome, he officiated the wedding with such grace and professionalism! Then took over with entertaining our guests with fun music, games and dancing! If you want the Best of The Best, Do not hesitate! Grab Brad and Raquel!! Thank you both for making my daughters day so very special and taking a ton off of the momma!! Our wedding would not have been half as wonderful without Brad and Raquel. They were highly recommended so we decided to reach out to them. After our first meeting we knew we wanted to work with them. They were so organized, had a wealth of knowledge, seemed truly excited to be a part of our day and instantly made us feel at ease. The process leading up to the wedding was so easy. They walked us through every step of the way and gave excellent feedback too. We decided to use Brad as our officiant and it was great. He was clear, concise and well versed. Following our ceremony Brad transitioned into a spectacular DJ. The music was perfect and he had everyone up and dancing. Between Brad and Raquel we didn't have to think of anything but having fun with our guests. They let us know when it was time to eat (even suggested we push it forward a bit since everyone got there on time), to toast, to cut the cake, to dance. They refreshed our drinks and checked in to make sure we were doing alright the whole night. 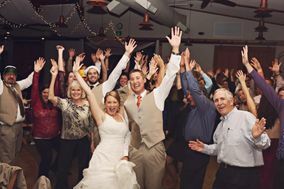 We heard from many of our guests that Brad was the best DJ they had seen at a wedding. Brad and Raquel literally made our evening! 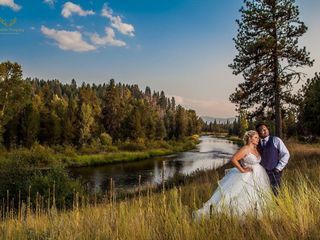 We are so glad we decided to use them for our wedding and highly recommend them to anyone looking for someone that offers much more than just a DJ.